The largest and most affordable Online Bicycle Navigation Shop! Bicycle Navigation shop the largest and most affordable! Do you want to buy Bicycle Navigation online? Hollandbikeshop.com has the Bicycle Navigation systems you're looking for. 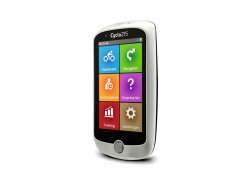 GPS bicycle navigation is essential when you're going on a long trek. This system allows you to easily check your route while cycling. And, most bike computers in our range will display information like time, distance, speed, height and heart rate for previous trips. GPS bicycle computers are the perfect training partner for road cyclists and mountain bikers, since they're an easy way to keep track of accurate statistics for their cycling trips. At Hollandbikeshop.com you can find a wide choice of Bicycle Navigation systems by brands like Garmin, Mio, O-Synce and Teasi. In our wide Bike Computers & Trainers range on Hollandbikeshop.com you can find Bicycle GPS and Navigation systems in various colors, sizes and models, like bicycle navigation systems with a color display. So you'll surely find the Bicycle Navigation products you're looking for! 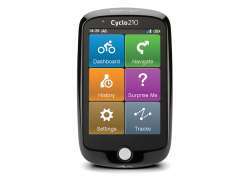 Hollandbikeshop.com is dealer of Bicycle Navigation & GPS and has a large and affordable range. We also often have Navigation Systems for the Bicycle on sale or in our outlet, so keep an eye on our sale button. The largest and most affordable online Bicycle Navigation shop!